Search "green" 113 results have been found. 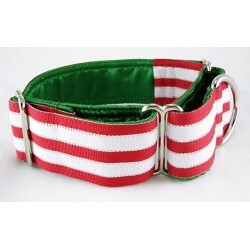 Gaia martingale or snap-relase buckle dog collar covered with a rich green satin lining and topped with a lovely Jacquard trim in red, green and gold on white. 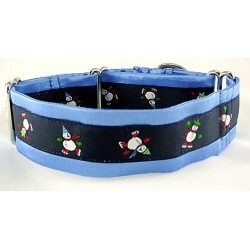 Turtles on Parade martingale or snap-relase buckle dog collar with brightly colored marching turtles. 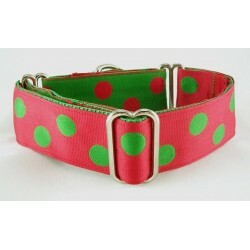 Limeade Dots Leash, a perfect match for the Limeade Dots collar! 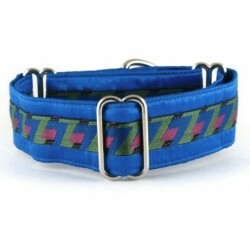 Heliotrope martingale or snap-relase buckle collar displaying a tropical floral motif. 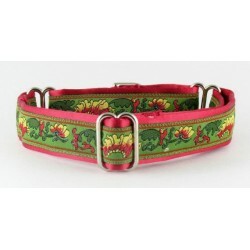 Primrose martingale or snap-relase buckle dog collar outfitted with fushia flowers on a pale yellow background. 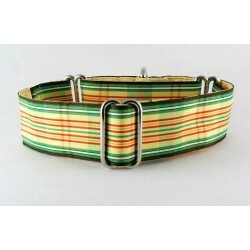 Stratford martingale or snap-relase buckle dog collar displaying a snappy, earth tone, geomtric trim. 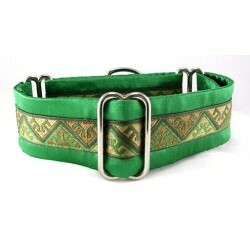 Greentree martingale or snap-relase buckle dog collar. Two tones of golden brown and green flow smoothly on this geometric design. 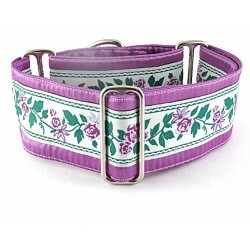 Millie's Bouquet martingale or snap-relase buckle dog collar fashioned with a delicate floral design. 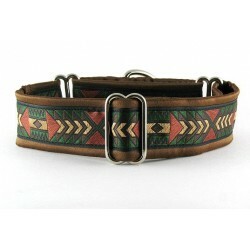 Zuni martingale or snap-relase buckle dog collar composed of a zig-zag pattern trim in desert jewel tones. 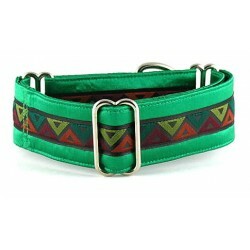 Jewel Cave martingale or snap-relase buckle dog collar showing off a sharp geometric trim in blue, green and wine. 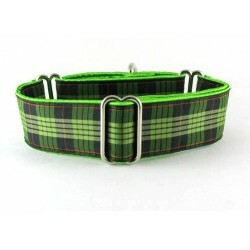 Limerick Plaid martingale or snap-relase buckle dog collar displaying shades of green and copper on black. 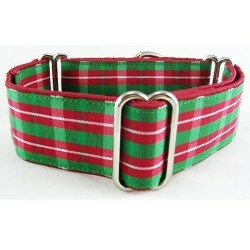 Tipperary Plaid a martingale or snap-relase buckle dog collar decked out in the lighter colors of Springtime. 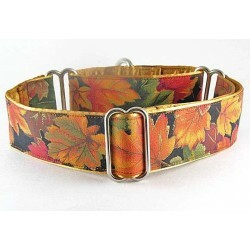 Resting Leaves martingale or snap-relase buckle dog collar decorated with a rich autumn leaf pattern. 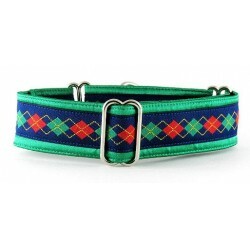 Desmond Argyle martingale or snap-relase buckle collar with a green, blue and red theme. 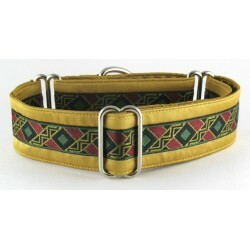 Crockett martingale or snap-relase buckle style dog collar with a distinctively outdoorsy feel and wearing the colors of the forest.